This is one of my all-time favorite salads. I crave it. 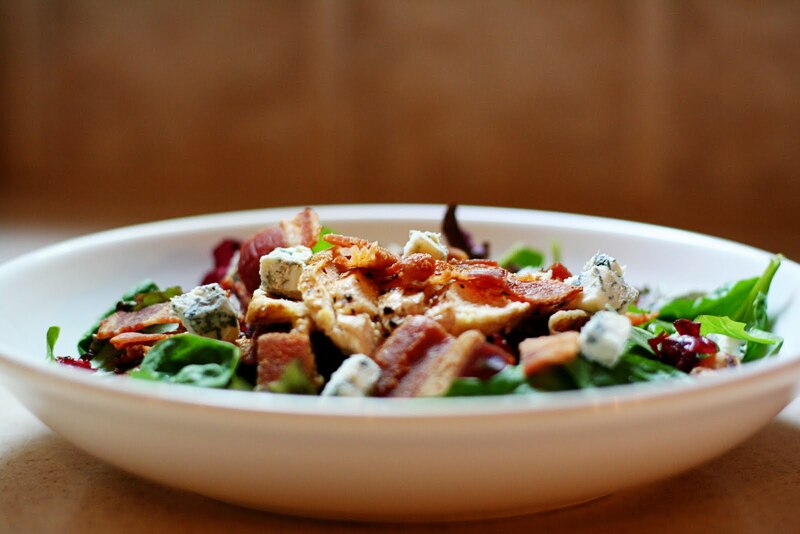 The combination of the sweet, citrusy (is that even a word) dressing with the bacon and blue cheese is mouth watering. Add in a little grilled chicken, walnuts, & cranberries, and you have a hearty weeknight meal. I'm not a big fan of cooking bacon (eating it, yes). It can get so messy! 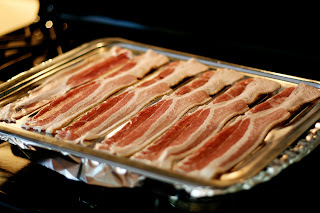 One day I saw Ina Garten cooking bacon on a broiler pan. Genius! I've never cooked it any other way since. Just line the bottom of your broiler pan with aluminum foil (for super-easy clean up), and lay the bacon across. Bake at 425 for about 20 minutes, turning once, until crispy. 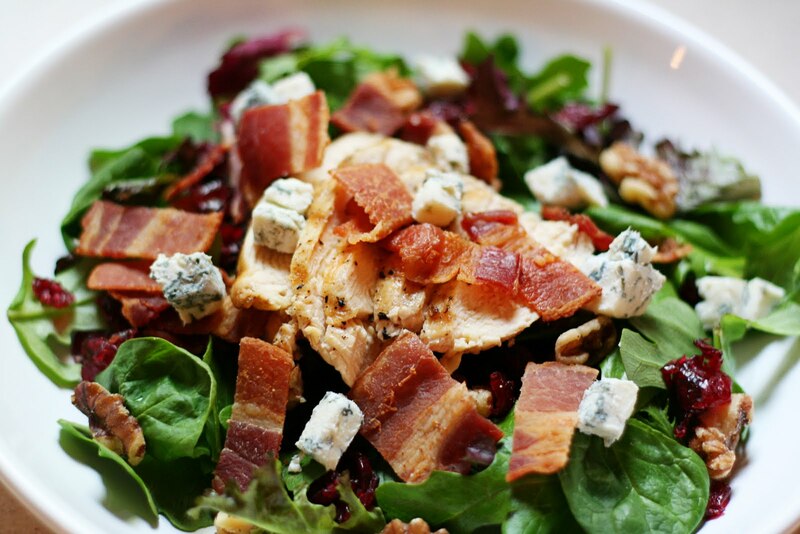 When I know we're going to have this salad, I make the bacon ahead of time and store it it the fridge. You could just stop with the bacon, but since my meat-loving husband likes to have this salad for dinner as well, I like to add some grilled chicken. 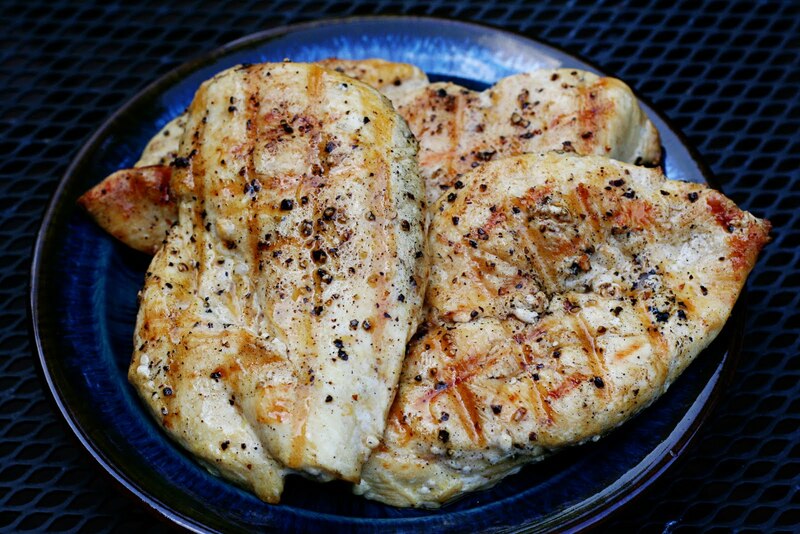 My favorite way to make simple, grilled chicken is to flatten out chicken breasts, sprinkle on sea salt and fresh ground pepper. Drizzle liberally with olive oil. Grill over medium-high heat until cooked through and you have pretty grill marks. Ladies, don't be afraid of your grill! 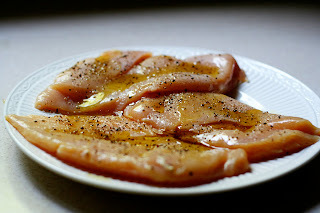 In a jar, combine orange zest, apple cider vinegar, orange juice, Dijon mustard, maple syrup and pepper. Shake vigorously. Add olive oil. Shake until combined. Delicious salad! Thanks for sharing!